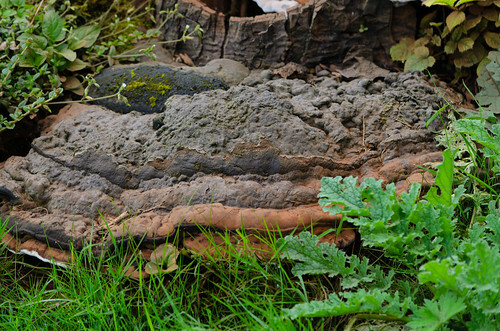 Large horse’s hoof fungi on a big tree stump in Himley churchyard. The same stump was also supporting a fine crop of another fungus: giant polypore. 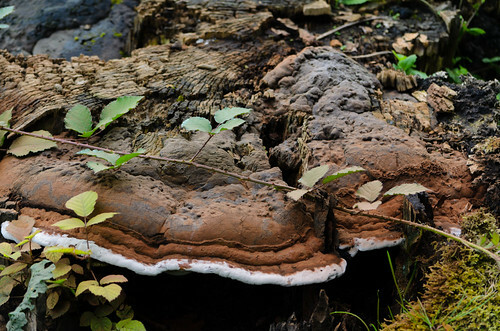 Each of the brackets of the horse’s hoof fungus was over eighteen inches across.